﻿ Non-asbestos Beater sheet with double Carbon steel reinforced - China Non-asbestos Beater sheet with double Carbon steel reinforced Supplier,Factory - Cixi Aiflon Sealing Materials Co.,Ltd. 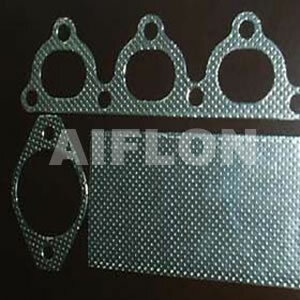 It is made of Aiflon 4120 non-asbestos Beater sheet reinforced with single-tanged 0.2-0.25mm Carbon Steel on double-face. It is extensively applied in manufacturing various exhaust gaskets for automobile and motorcycle etc. Dimensions according to drawings or specifications and standards.